I really couldn’t be more proud of my brother Cien. Via a 6 hour mini bus drive we successfully made it down to the Kembata-Tembaro region of Ethiopia, and are here to celebrate the completion of the two Kindergarten schools built under his leadership in the last 5.5 months. Cien has been in Ethiopia for just under 3 years now and though I have heard him speak of his work team, with whom he travels with from village to village, engaging and training the recipient communities in the construction of their new schools, there is nothing more inspiring than sitting around a table eating mangoes listening to them exchange laughs over the challenges each day presents. Cien’s got a firm grasp of the Amharic language that not only organizes his very effective crew, but quickly gains the respect of any local within 2 sentences. 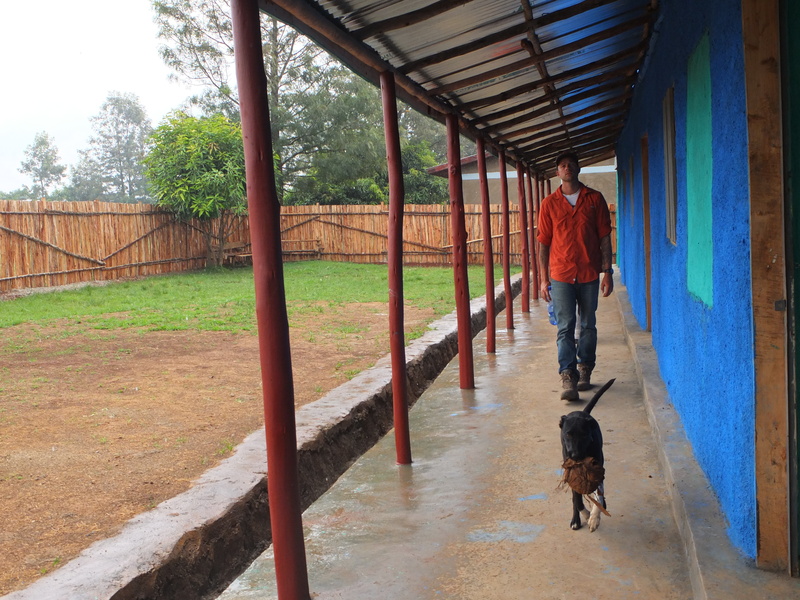 He’s got a cute little dog too, named after last years completed school, and anywhere we go, the attention diverts from us and all the kids shout out Kololo, Kololo! The completion parties begin tomorrow and as I tag along full of pride, I’ll be sure to snap every photo I can to relay my sense of gratitude for sharing first hand in these moments. There is no word in the Amharic language for Surprise. For first impressions, for being the 14th largest populated country in the world, the capital city of Addis abeba, is greener than I could have ever expected. Eucalyptus, Mango, Banana, Pomegranate, Avocado, Pine and Hibiscus, only to name a few, all in the same spot. I am so excited to be here.